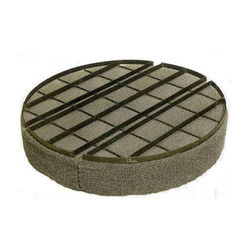 The Agitator Demister Pad provided by us is highly acclaimed for its mesh like design which makes it suitable for filtration purposes. This pad is available to clients in different specifications. To achieve the desired performance of the packed column the use of the properly designed column internals play the most important role. These are tailor made units, designed to achieve the optimum results. 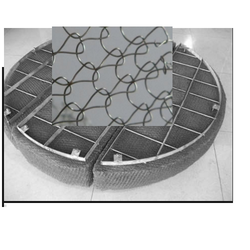 We Manufacture Demister Pad (Air Filter Mesh) made from Knitted Wire Mesh having Loop Type construction. We rank on the top in by offering best quality of Demister Coalescing Pad which is known for its remarkable finish and quality. Specially designed & fabricated from knitted wire of various metallic materials with or without grid support to suit specific process configuration. It is sued for separation of liquid matter in gas or vapor. Our Demister Pads are tailor made units, designed to achieve the optimum results with minimum drop in pressure. It is also called Mist Eliminator.